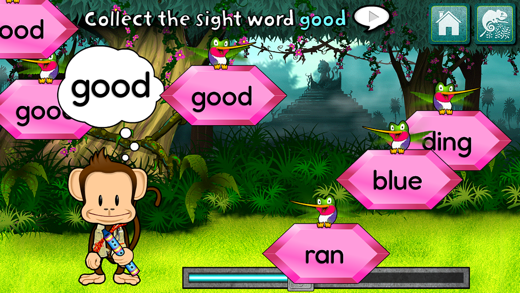 Get ready for adventure...Monkey Word School Adventure! 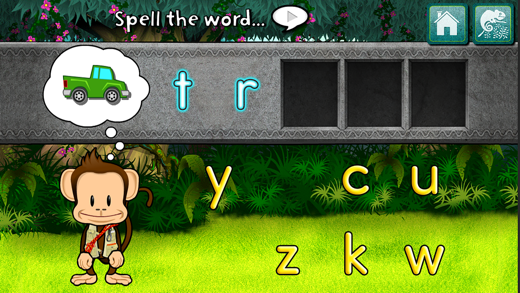 Join Milo and his jungle friends as they explore a fun-filled world of letters, sight words, phonics and spelling. Seamless game flow and behind-the-scenes performance adjustment allow your child to jump right in and begin playing and learning. *6 interactive, carefully conceived, captivating games. 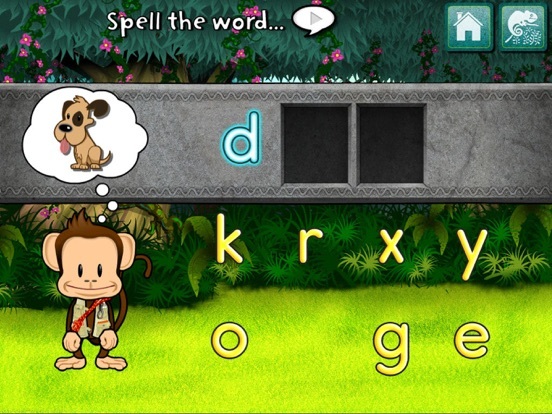 *Introduction to digraphs, consonant blends, irregular vowels and other important concepts. *A focus on sight words helping your child learn these vital building blocks of reading and writing. *Uses THUP’s “Knack Technolgy ” system which automatically adjusts the difficulty of the games as your child plays. *Customizable Settings. 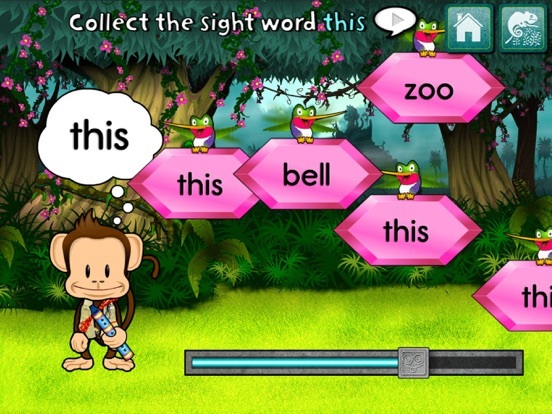 Select which games your child plays and at what level allowing you to focus on a single task, such as learning sight words. 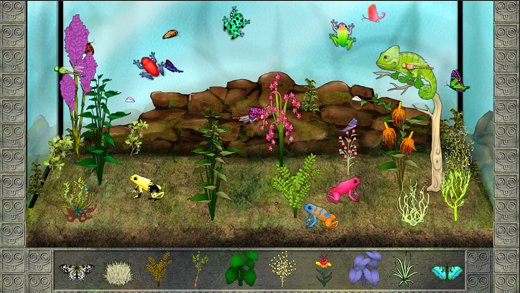 *Designed for Kids: No confusing Menus or navigation. *Rewards! 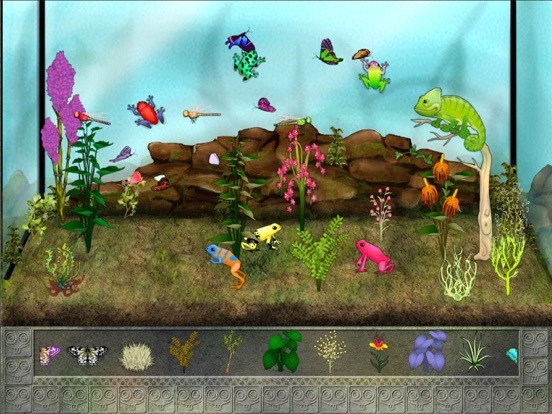 Kids earn frogs, butterflies, chameleons and more to put into their own customizable interactive terrarium. Milo needs help with his spelling. He can show you what it looks like, but do you know how to spell it? 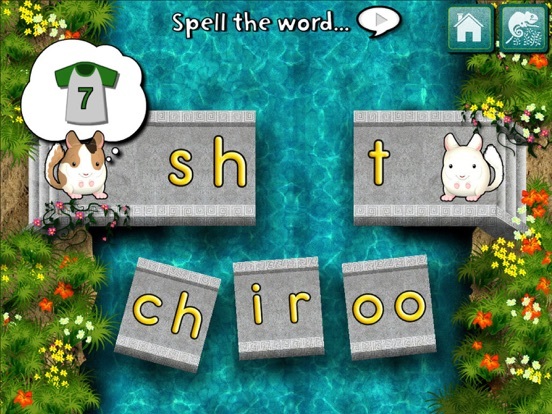 Use the magic gold letters to solve the puzzle! Milo is looking for a special gems and the sight birds have them! Help him collect as many as you can before the time runs out! 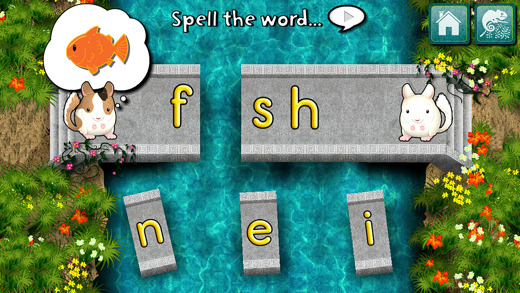 Features letter recognition and sight words. Using an ancient map Milo has stumbled upon a mysterious puzzle. 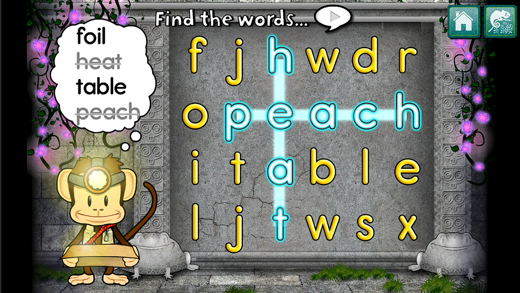 Help him solve it by finding all the words on the map!